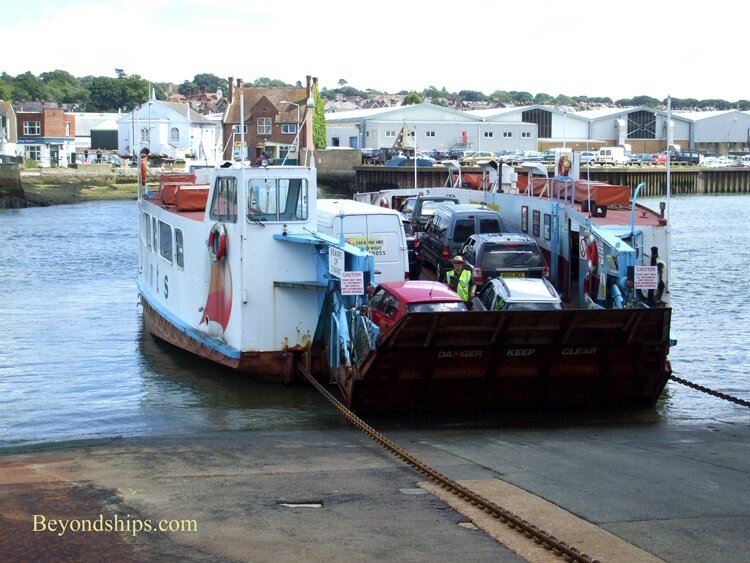 One of the easiest day trips from Southampton is to the Isle of Wight. 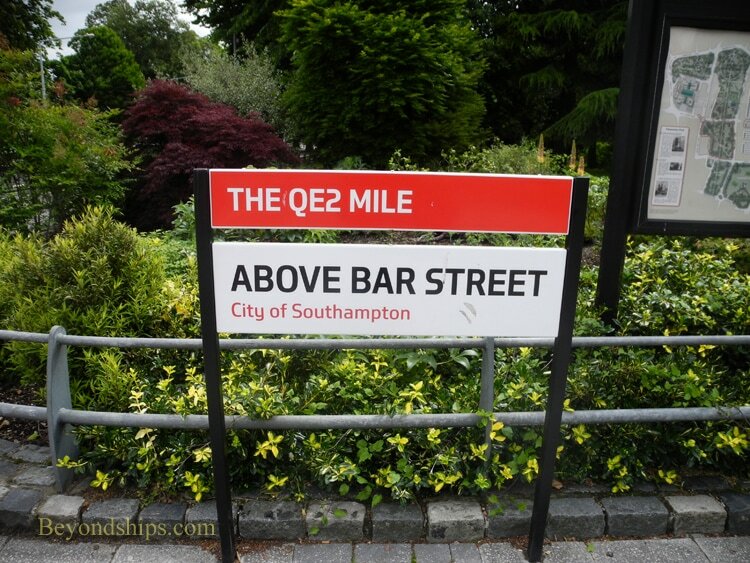 It lies at the opposite end of Southampton Water from the city. You can get there via the fast Red Jet catamarans that leave from the Town Quay in Southampton, or if you want to bring a car, the Red Funnel ferries. The Isle of Wight is a popular holiday spot. 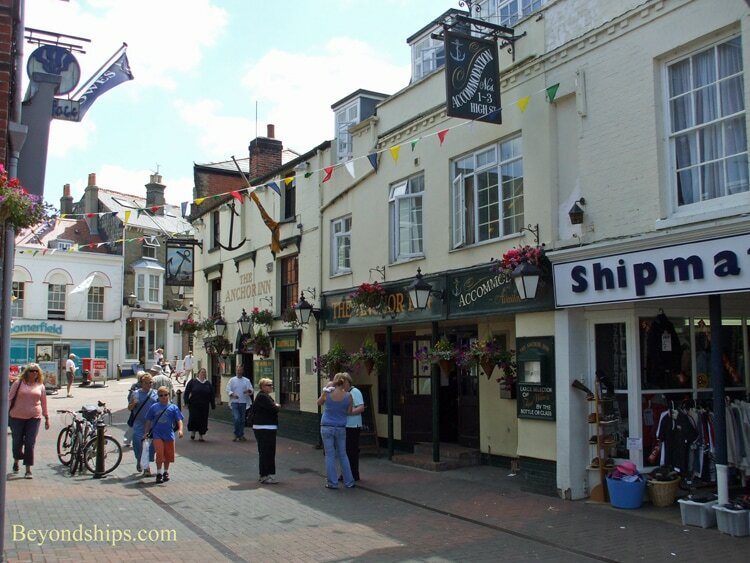 The largest town on the island is Cowes with its association with yacht racing. 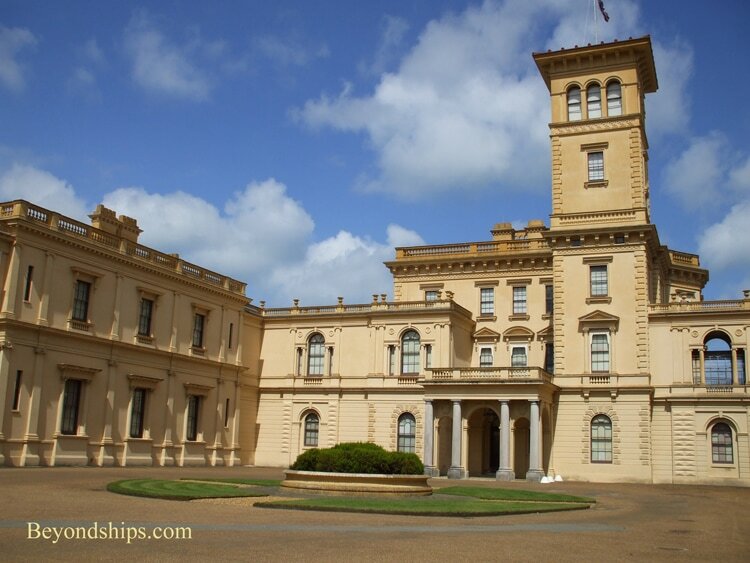 One of the people who enjoyed holidaying on the Isle of Wight was Queen Victoria. 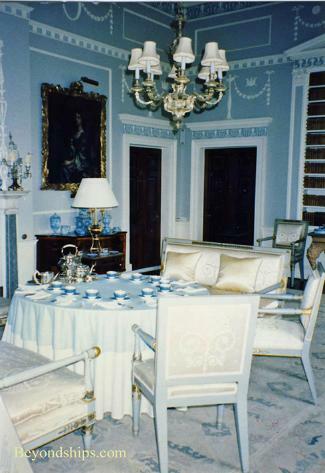 Her home, Osbourne House, is open to the public. It is a short taxi ride or long(ish) walk from Cowes. Left: A chain ferry on the route between Cowes and Osbourne House. 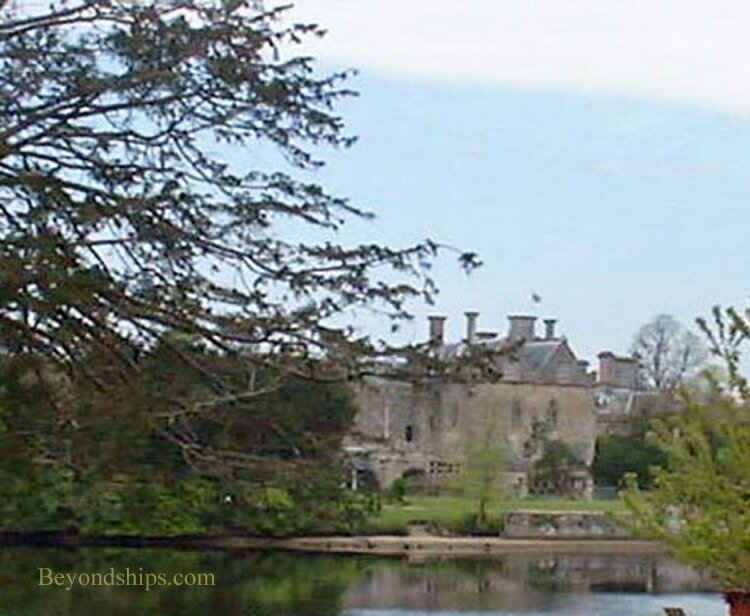 Back on the mainland in nearby Romsey is Broadlands, the home of Queen Victoria's grandson, Lord Louis Mountbatten. Queen Elizabeth II spent part of her honeymoon there as did Prince Charles and Princess Diana. Romsey can be reached by rail or by bus. 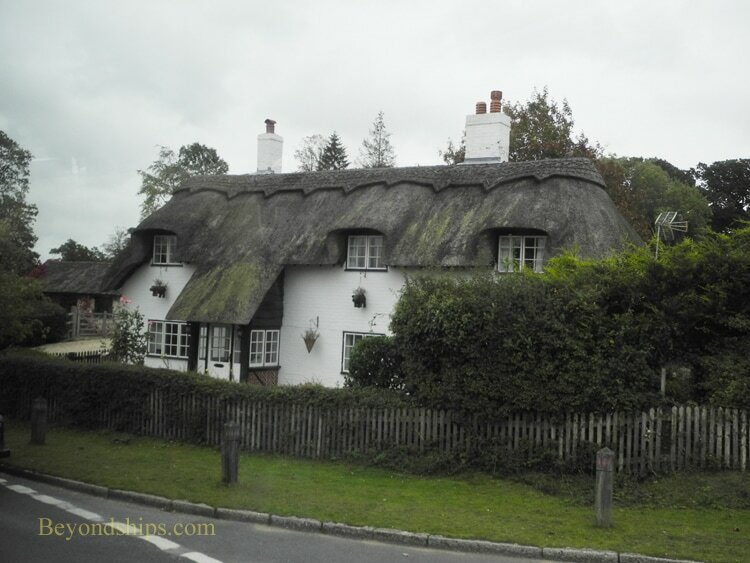 Century (See our profile of the New Forest). Today, much of the area is protected public land that retains a semi-wild state. 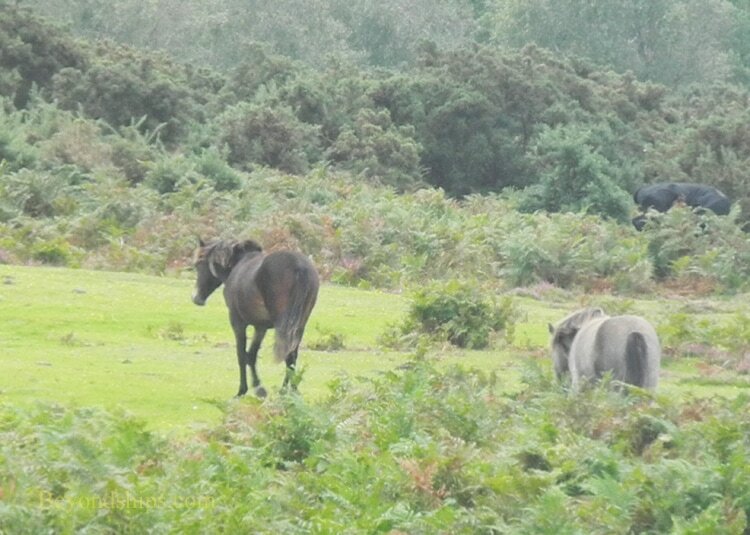 The area is known for its ponies who range at will around the area. the Beaulieu estate (right). It has a fine collection of antique cars. 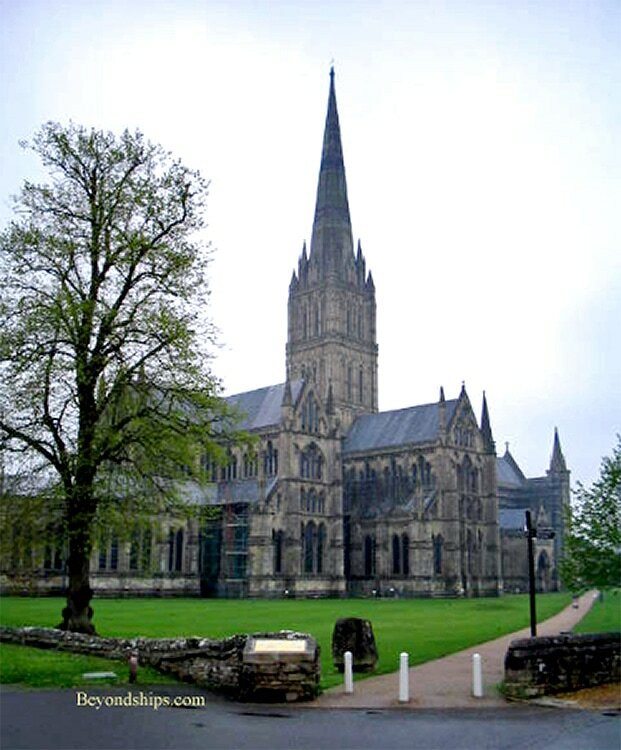 North of Southampton is the City of Salisbury. 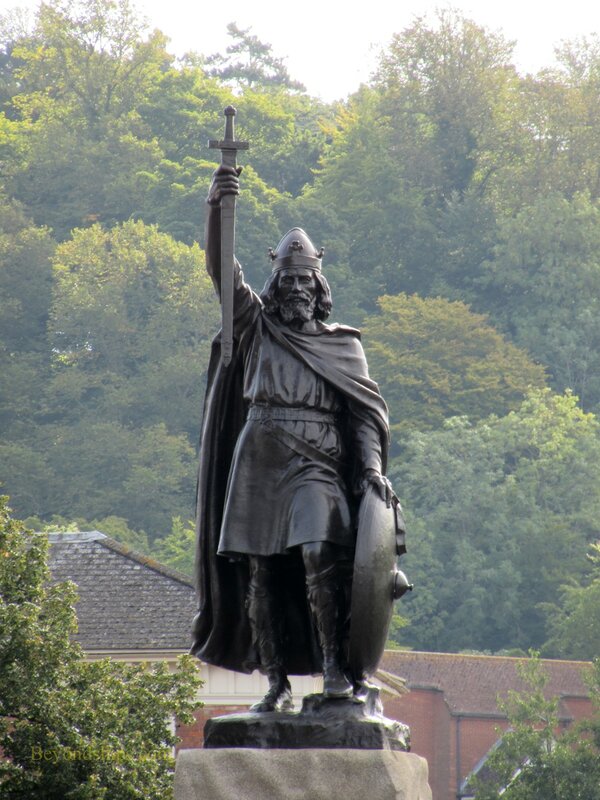 (See our profile of Salisbury). 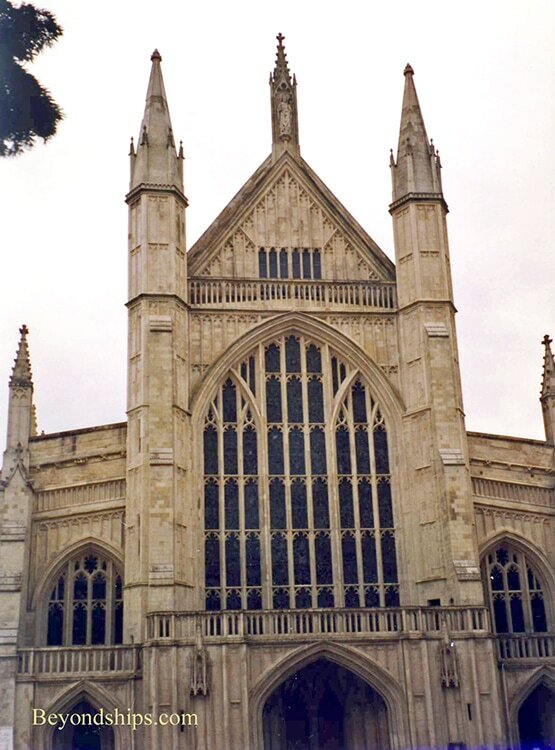 Its splendid cathedral was often the subject for the 19th-century British landscape painter John Constable and it is home to an original of the Magna Carta. The cathedral is situated in its own park, which is bordered by a number of fine houses including Arundels and Mompesson House. 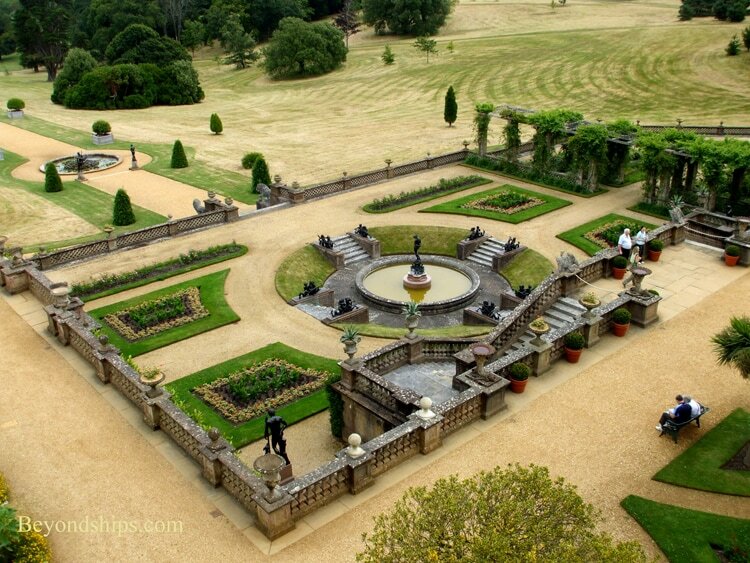 Outside of Salisbury is Wilton House, which can be reached by local bus from the rail station. It is about a half hour train ride from Southampton to Salisbury. The mysterious prehistoric stone circle Stonehenge is on the Salish bury Plain, north of Southampton. 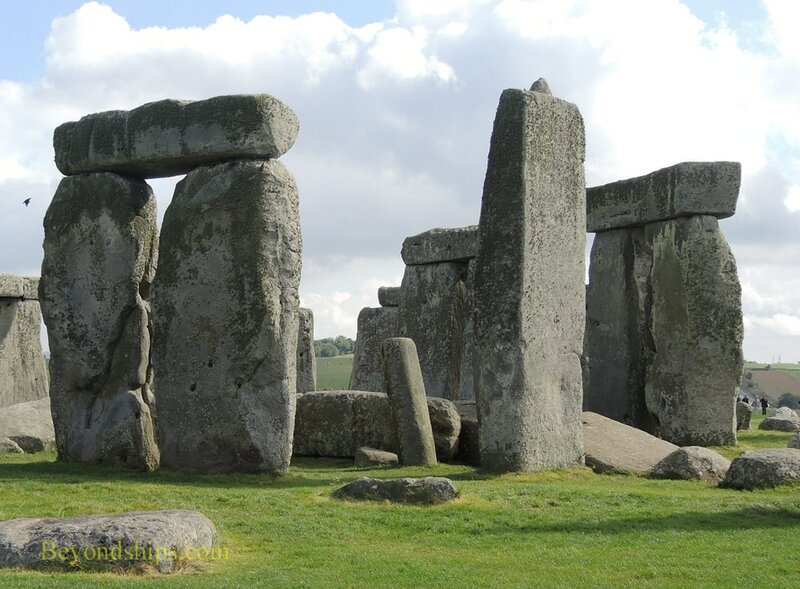 (See our profile of Stonehenge). 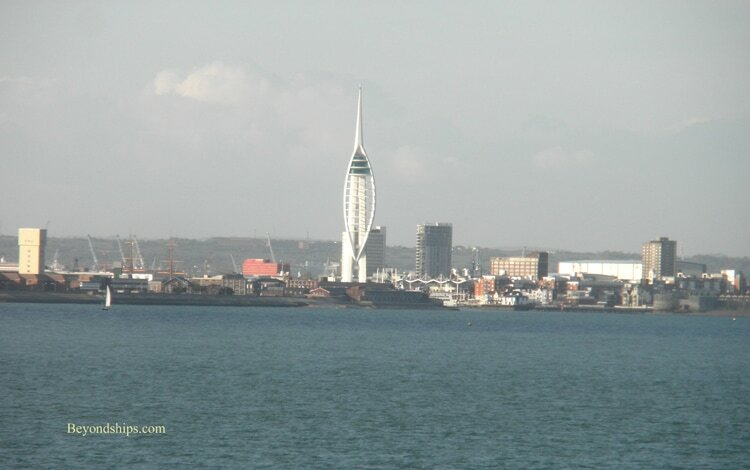 Portsmouth home of the Royal Navy, is on the Solent, southeast of Southampton. At the naval base visitors can see Lord Nelson's flagship HMS Victory, a restored Victorian warship, HMS Warrior, and the remains of Henry VIII's ship, the Mary Rose. Portsmouth can be reached by train from Southampton. 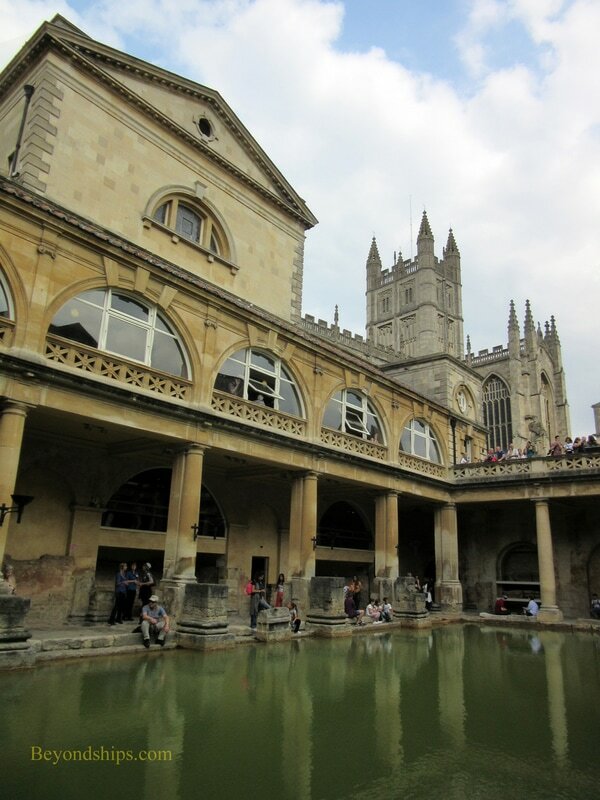 Bath was an important city both in Roman times and during the Georgian period. 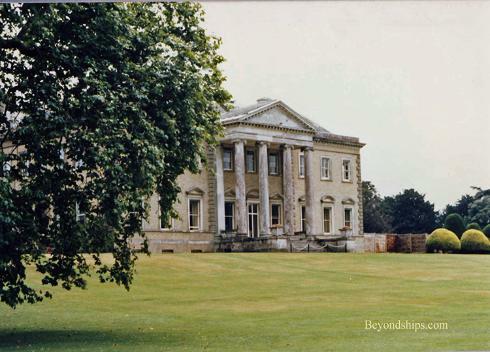 Today, it has extensive Roman archaeological sites and much of the Georgian architecture that Jane Austen's characters would have known has been preserved. (See our profile of Bath). Bath is located northwest of Southampton. There is direct train service from Southampton that goes to the Bath city center. The ride is approximately an hour and a half to two hours. ​Because this is a long journey, you will need to keep an eye on the clock to make sure that you are back in Southampton before your ship sails. 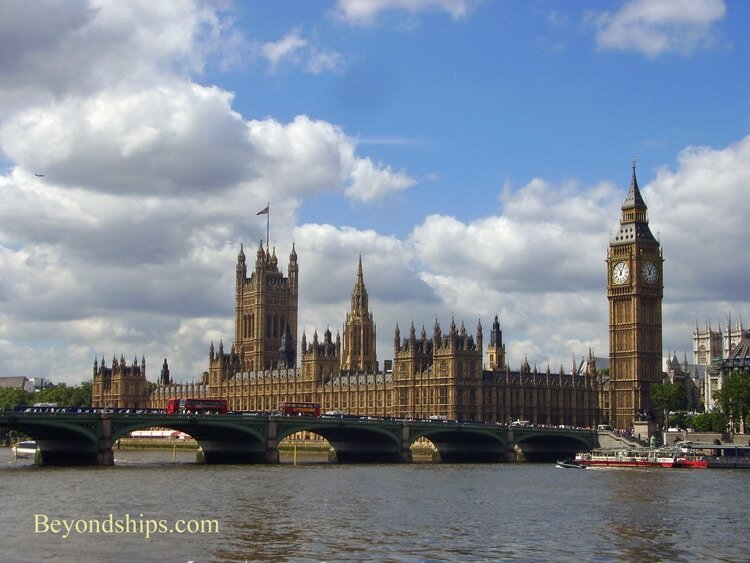 London, is one of the great cities of the world and there is much to see and do there. (See our London home page). There is rail and bus transportation between London and Southampton as well as modern highways connecting the two cities. The journey takes at least an hour and half to two hours. Thus, unless your ship is staying overnight in Southampton or is sailing quite late, an independent excursion from Southampton to London and back can be risky. In such circumstances, it is safer to leave London for before or after the cruise. 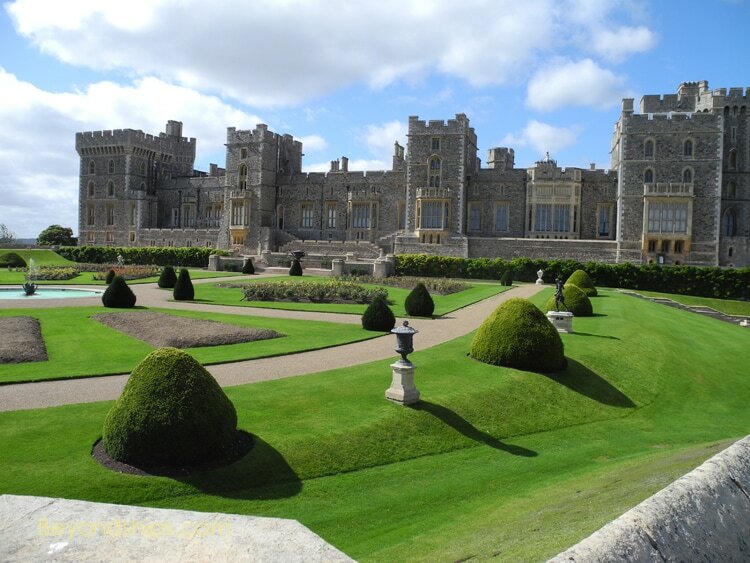 Windsor Castle is the home of the Queen. Its public rooms are full of art treasures and history. (See our article on Windsor). Windsor is located slightly west of London. For much the same reasons as journeying to London, a lot of time is needed to travel from Southampton to Windsor independently by public transportation. The cruise lines, however, often offer shore excursions to Windsor during ship calls in Southampton.